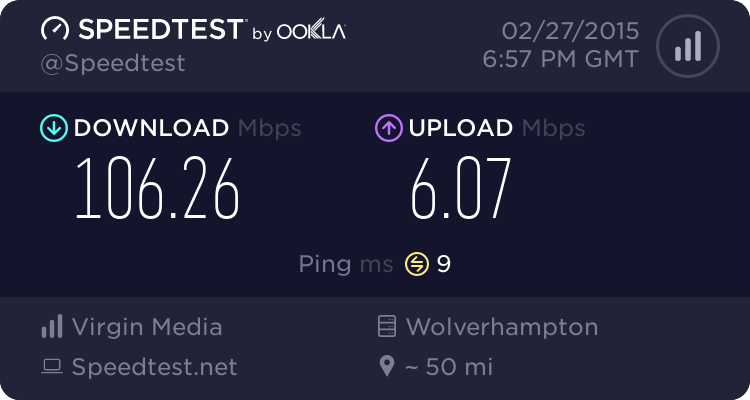 With a new Mac Mini in the office running gigabit ethernet (up to 100mbs) and hard wired into the network for the first time I recorded download speed of over 100mbs, between 108mbs and 115mbs. Not that’s #superfast. BT Infinity offer speeds of up to 100mbs and Virgin, my provider offer packages with up to 152mbs.